Who are the servants? They are retail clerks and laundry attendants, fast food cooks and restaurant wait staff. They’re caretakers and gardeners, turnpike cashiers and mall cops. Don’t forget valets and launderers, delivery drivers and taxi cabbies. Of the career paths--servant, apprentice, journeyman, and master--servant is the first. I love servants. Jesus even showed us how to have the spirit of a servant throughout our lives. 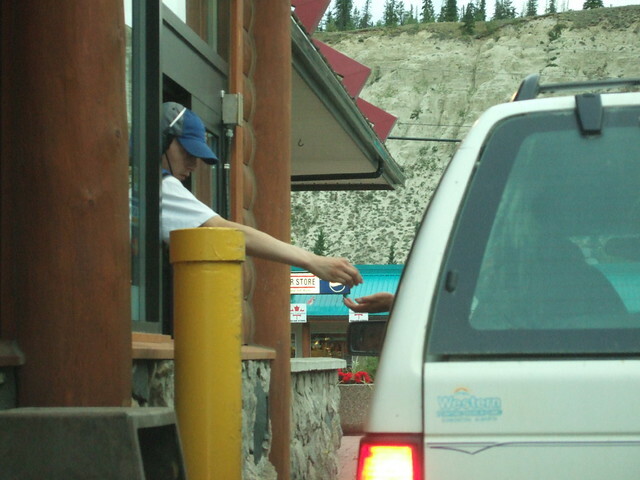 I love the friendly, helpful guy in the Taco Bell drive through. I love the continental breakfast worker at the Countryside Inn who buses tables and fills the bacon tray while business people watch the morning news and start their day. It’s like those British mansion dramas: Downton Abby and Upstairs Downstairs. The lord of the mansion and his family live upstairs in the exotic expanse of the mansion while the servants are regulated to servants’ quarters and preparation areas. Yet, for the servants it was far better than being penniless and helpless. Do you remember the climactic comments of Lionel the butler in the movie Maid in Manhattan? “We may serve them but we will never be their servants.” Yes, in the sense that servants are not owned by masters, I agree with that. I also love the dignity with which Lionel served and trained his staff to serve. I’m the grandson of farmers and I know the dignity of hard work and an honest wage. In Grandpa’s eyes, working the land was the noblest profession on earth. Though he owned his land, very different from being a farm hand, I knew that I wouldn't be a servant forever, not in this way. Servant jobs aren't intended to support a family alone. They are starter jobs, filler jobs, second jobs and fall back jobs. They’re a safety net. They are excellent as first steps or simple living. For most, the servant path is a choice, or the result of not choosing. Some say that minimum wage laws should set the servant wage higher, or basically eliminate the servant class. The consequence of such laws is greater unemployment for the less educated and the new job seekers. When we try to replace this private sector safety net with mandated wages and government welfare, we end up with a safety hammock that ultimately collapses under its own weight. Abraham Lincoln said, “The way for a young man to rise is to improve himself every way he can, never suspecting that anybody wishes to hinder him.” In other words, don’t be a victim. That’s the key to the servant career path. Whether you are on the servant path for months, years, or decades, hold your head high, keep your eyes open, and make the best choice for you. Hmmm...my angle is that it's helpful to see clearly the servant career path and its limitations so the choice for that path is understood. Am I creating unhelpful class distinctions?